Designed to be used in conjunction with the INF-MP-16 1RU Intercom Master Panel, the INF-MXP-20 Expansion Panel adds twenty additional multicolor talk/listen lever display keys. The Infinity Intercom Desktop Station delivers the same functionality and features as the INF-MP-16 but in a compact, attractive, ergonimic desktop format for locations where a rackmount panel is impractical. The INF-PMP-6 Partyline Master Panel is designed for use in wide a range of diverse applications beyond broadcast, such as theater, live events, touring, rental markets and House of Worship. 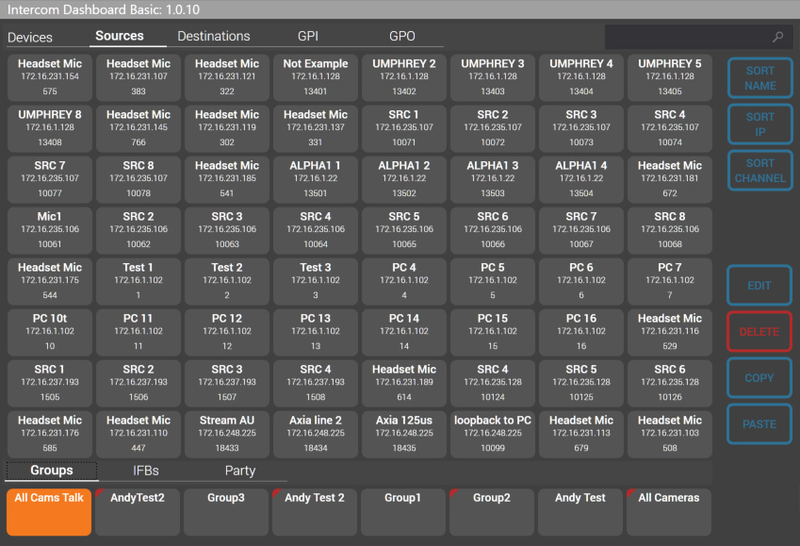 Broadcasters will also find the PMP-6 an appealing alternative where a full 16-key panel is not required. Telos Infinity Dashboard is unlike other Intercom system management tools. By displaying the entire Intercom system as a single page view without the clutter of multiple tabs and embedded menus, the operator is able to navigate quickly, and within minutes take control to create or manage a working IP Intercom. 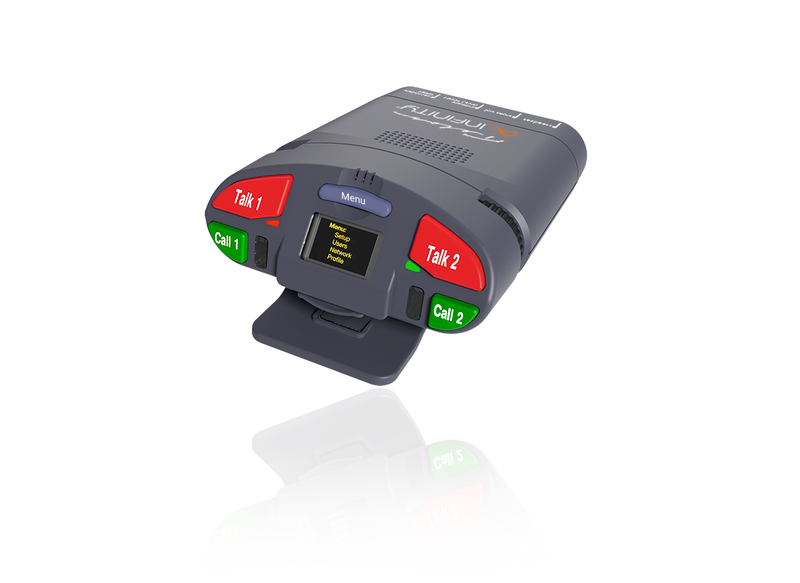 Create unlimited Groups, Partylines and IFBs, drag-and-drop functions directly onto Panel and Beltpack keys in real-time, and manage AoIP sources and destinations as though they are physical ports on a virtualized Intercom matrix. 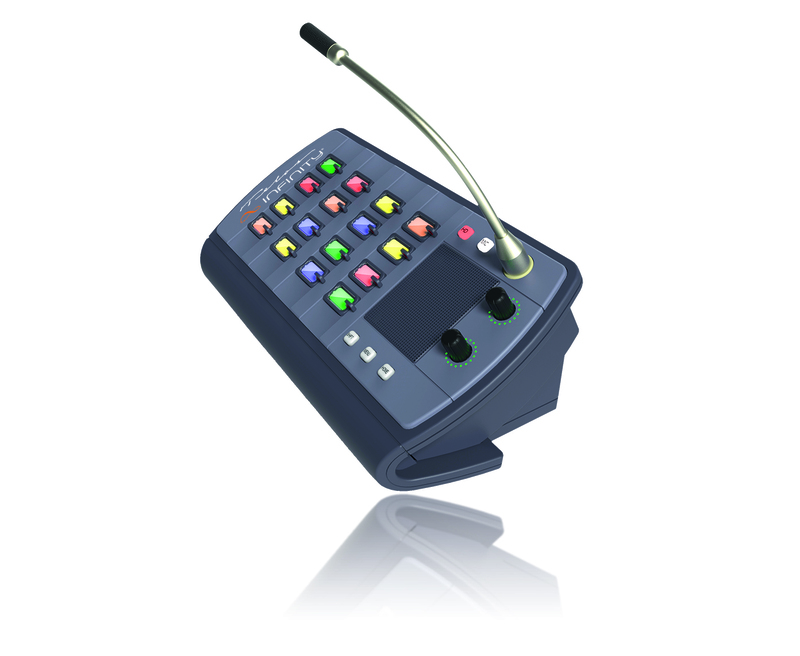 The only broadcast intercom system that connects directly to Livewire AoIP networks. Hassle-free installation, no central switching matrix, instant communication. And broadcast-quality audio, too.